RESOLVE offers anchor and chain search and recovery operations for the Mediterranean Sea. Over the years we have retrieved many types of anchors and chains, all differing in conditions, operation complexities, and sea environments. Our search and retrieval teams are highly skilled and capable, and adhere to our amply demonstrated effective retrieval procedures. 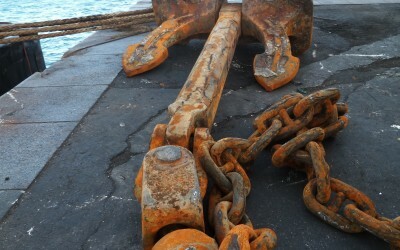 We are requested by Companies and Port Authorities alike, to assist in retrieving a vessel’s lost anchor and/ or chain. All operational tasks commence following this contact, and RESOLVE works as efficiently as possible, recognizing that our client’s time is extremely valuable. 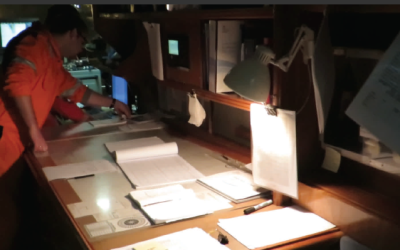 We collect and organize all data associated with the loss of the anchor/chain and establish a relevant search area. In doing so initially, we avoid losing time in searching unrelated areas. 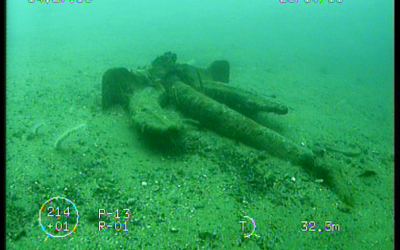 Our initial search is conducted using Side Scan Sonar. Once we establish possible targets with our Side Scan Sonar, we use our ROV to ensure positive identification of said targets is established and official. Recovery of anchor and or chain may then proceed. Our operators are instructed to commence search and recovery operations. Recovery operations can be undertaken using our AHT RESOLVE BLIZZARD or with our dumb barge ISACC 1874. All RESOLVE anchor and/ or chain search and recovery operations are undertaken under current Health and Safety regulations and according to RESOLVE policies to preserve the Environment, as appropriate. Upon completion of recovery operations, retrieved anchor and chain are transported to RESOLVE storage areas prior to owner or vessel delivery, as required.